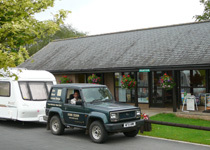 East Devon is a great place to take a caravan holiday. 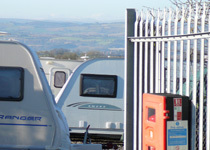 It's easy to get to, just off the M5 or the A30 near Exeter. Within a few miles you are into the lovely rolling countryside of the East Devon Area of Outstanding Natural Beauty (A.O.N.B. ), with it's delightful rivers, open heath and woodland. There are also the pretty villages, coastal towns and the breathtaking beaches which make up the East Devon Jurassic Coast, which runs from nearby Exmouth through Budleigh Salterton and Sidmouth to Branscombe, Beer and beyond. For the more adventurous there is the South West Coast Path or the East Devon Way. You can enjoy bird watching, cycling, walking, fishing, golf or explore the many other attractions in East Devon, Exeter and beyond... not to forget the occasional village pub or cream tea!